While the BJP and its cadres are busy celebrating the 64th birthday of its prime ministerial candidate, an Islamic cleric has hit out at the Gujarat chief minister. 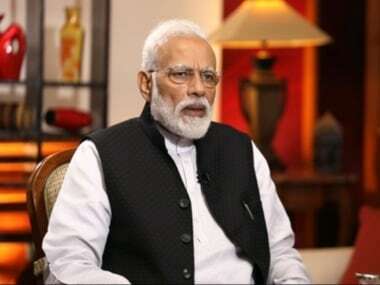 Imam Shahid Saiyed, who had offered a skull cap, which Narendra Modi refused to wear during his Sadbhavna rally, has alleged that Modi does not have goodwill towards the Muslim community. "I had gone to the Sadbhavna fast with no ill feelings. I gave him a skull cap, but he told me he does not wear a cap. It proves that he has no goodwill towards anyone. 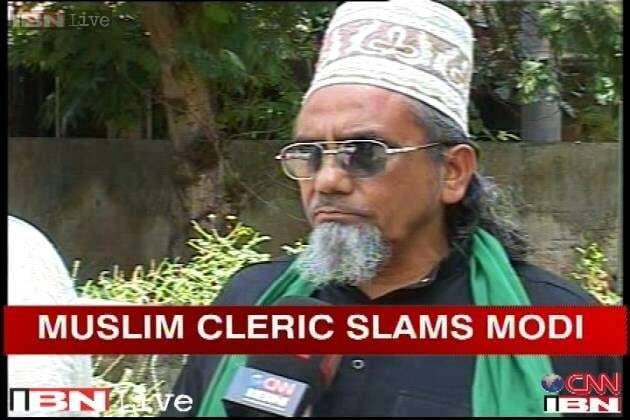 He isn't secular," the Muslim cleric told CNN-IBN. Saiyed further said that hose wearing skullcaps at the function were not Muslims, but manual labourers paid Rs 200 to be there. This comes even as Modi and the state BJP seem to be reaching out to minorities within days of him being nominated as the party's Prime Ministerial candidate. Meanwhile, the Bharatiya Janata Minority Morcha has decided to register about 1 lakh Muslims into the BJP. It is going to be a week long drive and will be held in all the districts. We are launching a massive drive to enrol 1 lakh people through each of our cells starting tomorrow, on Modi's birthday," said state BJP spokesperson, IK Jadeja. Various BJP cells, dedicated to affairs of minorities, SCs and STs and youths, among others, have been given a target of enrolling 1 lakh people each during the nine-day drive, which will culminate on the birth anniversary of Pandit Deendayal Upadhayay. "Besides the enrolment drive, some 20,000 BJP workers will carry out social work to strengthen the organisational structure of the party over the coming nine days," Jadeja said. 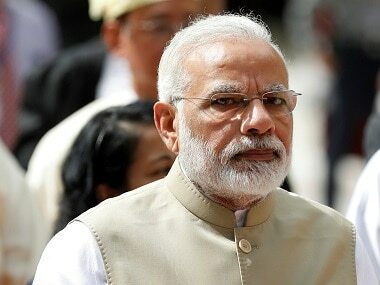 BJP workers will spread awareness about the fight against malnutrition, distribute food at anganwadis, organise medical and blood donation camps and undertake tree plantation to celebrate Modi's birthday, he said. The Congress has 'laughed out' at the BJP's drive saying the Congress doesn't need such drives. congress leader Rajiv Shukla said, "I can only laugh at it. Political parties should be such that people should join them. The Congress doesn't need any recruitment drive. The PM candidate should be above caste, creed and religion. 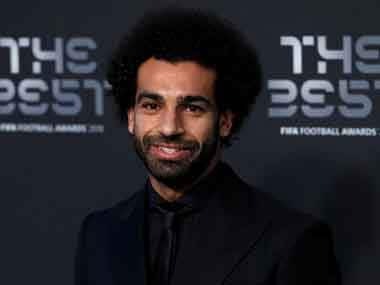 He should be leader of the entire nation, should have everyone's support."